Have you noticed the expanding role of analytics in sports thanks to technology, if so, get ready for LongoMatch. They were just acquired by Fluendo, to help sport organizations with their tech products that analyze, evaluate and digitally breakdown, live game and post-match performance and strategy metrics. The Sports Techie community blog spoke to Muriel Moscardini, CEO of Fluendo, about this exciting business opportunity via LongoMatch, their future of OnePlay, suite of open source software solutions and the new Pro Version. On the heels of the STATS acquisition of Bloomberg Sports, together with the LongoMatch purchase, the sports analytics Industry is growing at an amazing rate. 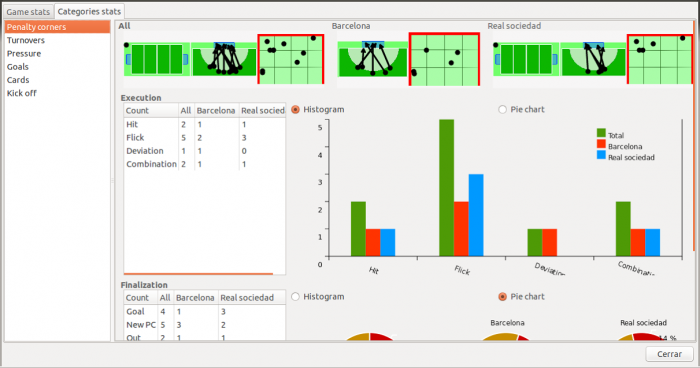 Big data are must-have numbers for coaches and players, which is why you must look hard at the LongoMatch cross-platform software tool because it is easy-to-use and allows operators the ability to perform real-time analysis on sports game video feeds. LongoMatch software has tagging features, live in-game review tools and the all-important, analytical data. The sports tech business is already established, wanted to expand and needed an influx of capital so in stepped Fluendo, an international video expert company with multimedia and video on a wide variety of formats, devices and operating systems. “I like working with LongoMatch because it’s easy to use and it works on a Windows PC and a Mac. Making video compilations on a timeline was never so easy,” said Herman De Landtsheer, video analyst for the Belgian National Football Team. 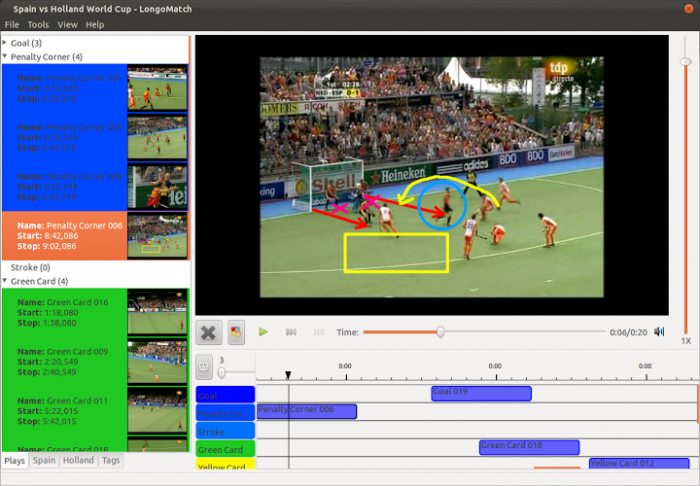 The proprietary software is unique in that it lets users tag game as they occur and export clips while live match analysis continues, as well as post-match analytical options that includes drawing tools. Tagging can be done with categories and subcategories that enable the user to tag positions and trajectories that includes hot zones. You can generate statistic reports, analyze windows or playlists, and queue your work projects. If you want this kind of usability for Windows, MAC and Linux operating systems, they have it. LongoMatch will soon be added the Fluendo line of products, so now is the time to consider what they bring to the table as a new collaboration, because it saves users money and gives expertise from the technological side. Most competitors come from the sporting side. All this functionality is considered a shortcut to necessary coding requirements if you tried this on your own. LongoMatch was nominated as one of the 10 best sports analysis systems in the world in the 2013 Performance Video Analysis Software Guide. They have a free version and will soon offer an expanded Pro version that has a nominal cost when considering all the new features it will have. Founded in 2004 in Barcelona, Fluendo enables multimedia on a wide variety of devices and operating systems. Fluendo employs several of the central developers of GStreamer, an Open Source framework which is quickly establishing itself as the de-facto standard multimedia framework for cross-platform software. Fluendo provides a wide range of products under and above GStreamer, including proprietary codecs (together with their respective patent licenses), a streaming server, and the Fluendo DVD Player. Muriel lives in both New York and Barcelona as the CEO of Fluendo. I learned a tremendous amount about video chatting about her company, their products and services. GStreamer, powered by their plug-ins, works across iOS, Android and UNIX, Linux, Windows and MAC. If you have video, audio, webinar, and documentary needs, Fluendo most likely has a solution to fit your projects. The companies they work together with are impressive and features both Fortune 500 and cutting edge tech companies. She explained the focus of acquiring LongoMatch is to enter into the sports market, adapt it with the Fluendo video, audio and data expertise and offerings, then sell through into what she described as a highly competitive market. I asked her what sports analytics competitors are out there and she said, “Dartfish in America and Sports Coach in Europe.” Within a year, they plan to expand the new product suite to markets such as health, surgery and others. Two of their top selling points are their established licensing expertise along with their long-standing patent rights with major and minor video player companies. They pay the royalties such as Microsoft licenses and pass on the savings plus eliminate configuration headaches to their customers. If you have specific corporate or federation codec, coding or decoding needs, or if you must use flash, AVI, MPEG and/or Windows Media, they have the legal licenses in place to serve your sporting needs. LongoMatch is a sponsor at the Sports Analytics Innovation Summit – #SportsAnalytics, September 10–11, in San Francisco. Push the Boundaries with Data – no industry sees the same level of competition as professional sports. Be inspired & network with the people who are carving out that all-important edge through performance, business & engagement analytics. – See more, click here. Sports Techie, If you use FireWire, USB video, IP cameras, or even go with or without video capture, LongoMatch’s robust sports analytics software has options for all users. Their business development roadmap involves contacting universities, basketball organization and stadiums. They empower developers and welcome OEM and resellers. They can also customize their wares to meet the demand’s of any sport. Fluendo is hiring in New York. If you wish to apply or want to talk about their suite of products, both sports and non-sports, contact them at: contact@fluendo.com.